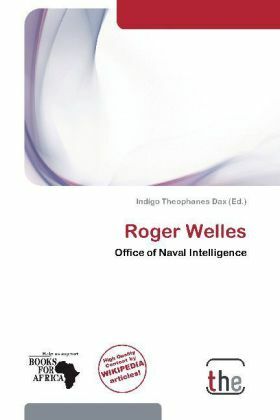 Roger Welles (1862 1932) was a U. S. naval officer, the first commander of USS Oklahoma and appointed the first "Navy Mayor" of San Diego.Welles gave 33 years service to the navy in a variety of placements, eventually being promoted to Rear-Admiral. As an ensign he was engaged in surveys in Alaska, where he made a study of native peoples culture and language in his spare time. He served two years in the post of Special Counsel to the World's Columbian Exposition in Chicago, and was awarded by its board for research on Orinoco River Indians. A former commander of the Naval Training Center in Newport, his command of the Oklahoma was a short period of time mainly involving the command as a training ship. This was because the oil-fired boilers that she used were not able to be fueled in England, as German U-boats had drained their supply.